GB Guitars by Bernie Goodfellow - finest handmade instruments. 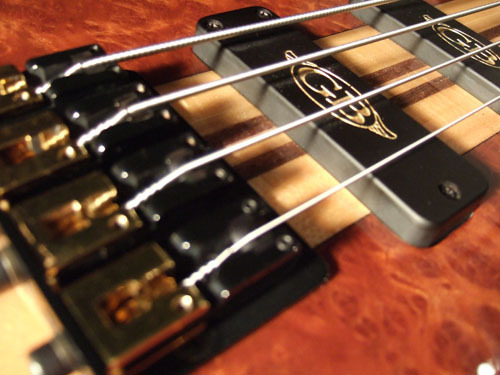 "The joy of quality long exceeds the thrill of a cheap deal..."
At the top end of the bass guitar market, high standards of design and exotic features should be taken for granted. 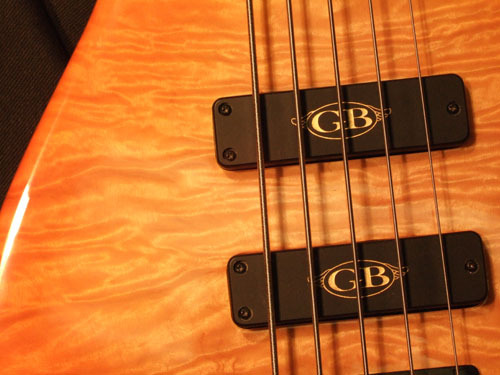 So what makes GB Guitars' instruments outstanding? 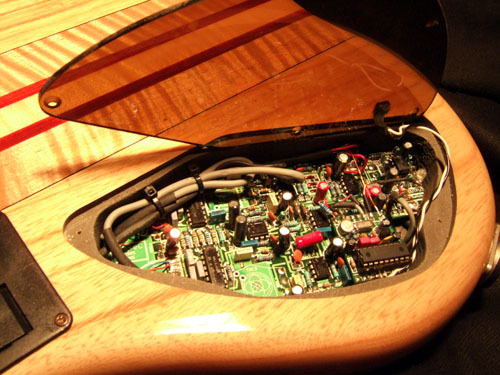 Not all electronics are created equal and while there are many fine "off the shelf" pickups and preamps available, we demand much more from our instruments. So we designed our own. Our sophisticated active GB preamp is made on high quality fibreglass boards using double sided plated through hole (PTH) fabrication. We use these boards because they are superior in strength, durability and electronic performance to the standard board. 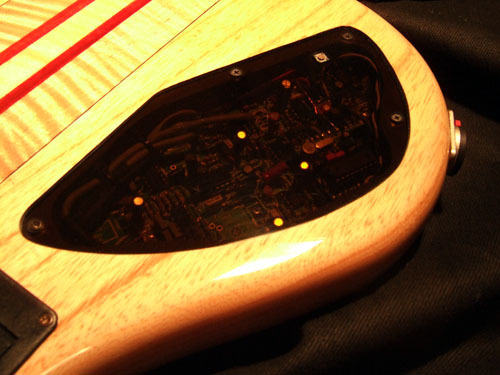 The GB preamp together with our high performance Q-Factor humbucking pickups, produce an unequalled variety of tones. 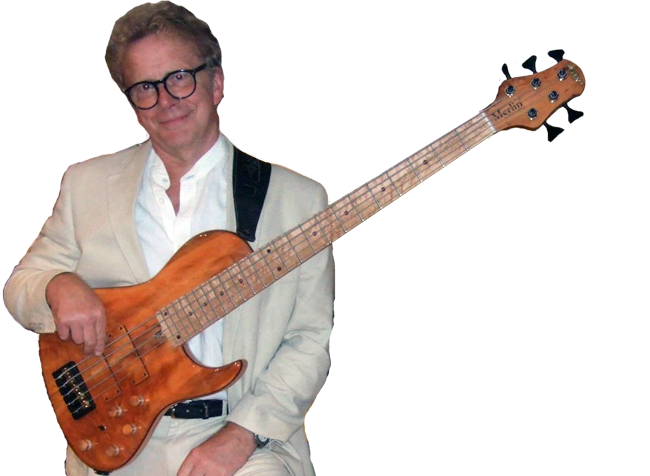 The controls are easy to set or reset, giving you the freedom to explore new dimensions in bass playing and self expression that you will not have experienced before. That's a promise. You can select all of the traditional sounds that you will have been used to and a whole range of sounds that until now have been unattainable. Once familiarised with the controls, these sounds and many more are all just a tweak away. All instruments are tailor made for YOU. Some of the above specifications may be changed to meet YOUR requirements. If you can dream it, we can most likely do it!